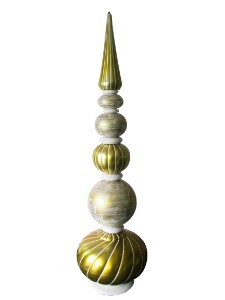 This giant 84" finial tower ornament encompasses your Christmas decor needs. In stunning gold and white the iconic Christmas colors brings holiday joy to all! Would look great any commercial venue.